We want you to have a wonderful and memorable experience on board our vehicle, but if youâ€™re under the age of 21, you donâ€™t need alcohol or drugs to have a good time. Â â€œThe Consumption of alcoholic beverages by persons under 21 years of age is illegal. 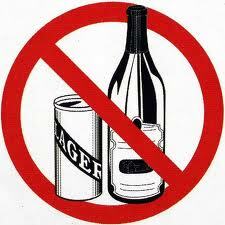 It is also illegal for an adult to provide alcoholic beverages to a person under 21 years of age. If you consume alcoholic Â beverages, this trip will be terminated and all payments for transportation services shall be forfeited and not subject to refund.â€ The use and/or transportation of illegal drugs or controlled substances is prohibited on board our vehicles. Please read and sign the following statement regarding minors and the consumption of alcohol/drugs. We request that you be respect and be courteous to your driver and designee, adhere to the law, and abide to our terms and conditions of travel. Possession or consumption of Alcohol or drugs by minors on board our vehicle will result in the immediate return to place of origin and de-boarding of passengers. NO REFUND will be issued for violation of this policy. Â We reserve the right to search the persons and belongings of all minors on our vehicles for any reason at any time. (2) The consumption of any alcoholic beverage in the vehicle is unlawful, that no alcoholic beverage may be transported in the passenger compartment of the vehicle, that all alcoholic beverages are required to be carried in the vehicle trunk or other locked compartment, and that, if during the course of the ride any minor is found to be, or to have been, consuming any alcoholic beverage, the contract will be terminated and the customer will be brought back to the point of origin of the ride. (4) If any minor passenger, after signing is found to be, or to have been, consuming any alcoholic beverage during the course of any ride subject to this section, the driver shall immediately terminate the contract of hire and shall return the passengers to the point of origin of the ride.